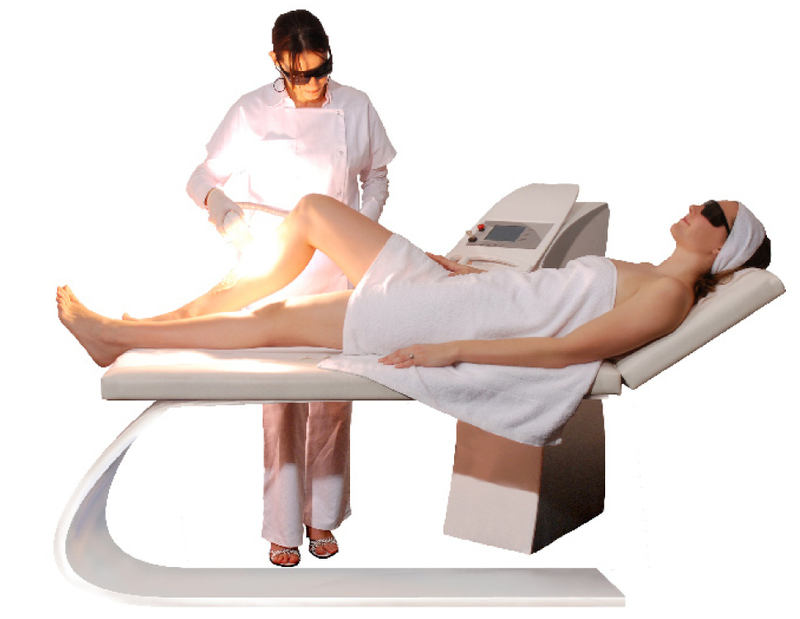 The Wellness Spa is proud to offer our amazing clients DERMEO® Laser Hair Removal and Intense Pulse Light Treatments! Why choose Dermeo over other laser hair removal systems? The Dermeo can rapidly treat large areas without the limitations that come with traditional lasers. The advanced technology of the Dermeo allows it to treat clients with dark skin tones and tanned skin. It also treats fine hairs as effectively as it treats coarse hairs. Finally, the water cooled lamp cartridge takes away excess heat, cooling the skin for a safer, more comfortable treatment. Pulsed light is absorbed by the melanin present in hair during the growth stage, and is then conducted down to the root of the hair. This light destroys the follicle of the hair preventing future growth, without any side effects. Who is it for, and what parts of the body? Unlike many lasers, Dermeo’s hair removal can be carried out on all healthy skin, light or dark, on both men and women, and on all parts of the body, including: legs, bikini, upper lip, chest ,underarms, back and chin. Works on Light or Dark Skin with long lasting results! Pores are tightened, improving skin elasticity and texture. The treatment also stimulates new collagen and elastin production in the skin! Helps to get rid of vein removal, rosacea, telangiectasias, hemangiomas, and angiomas on the face and other body areas. Contact Us for more info on pricing and packages or to book your consultation.